A good question, with many answers. At boat shows we get this a LOT! 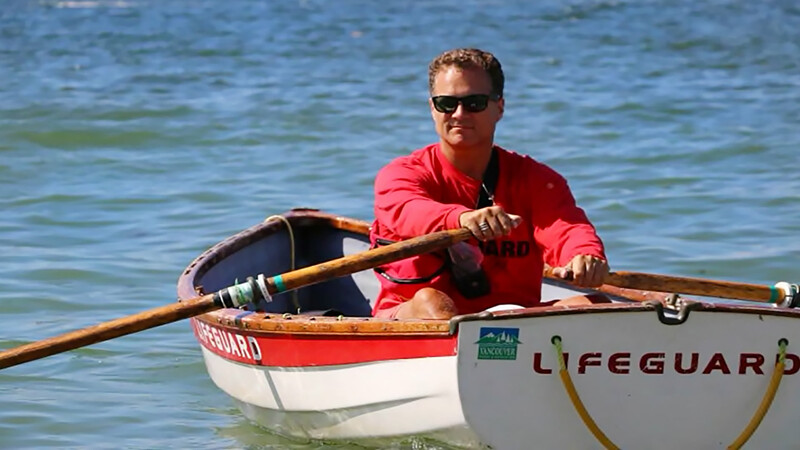 People in their 30s, 40s, 50s, 60s… all pining for the days of rowing sweep, port side, starboard oar, stroke, or sculling back in high school and or college. 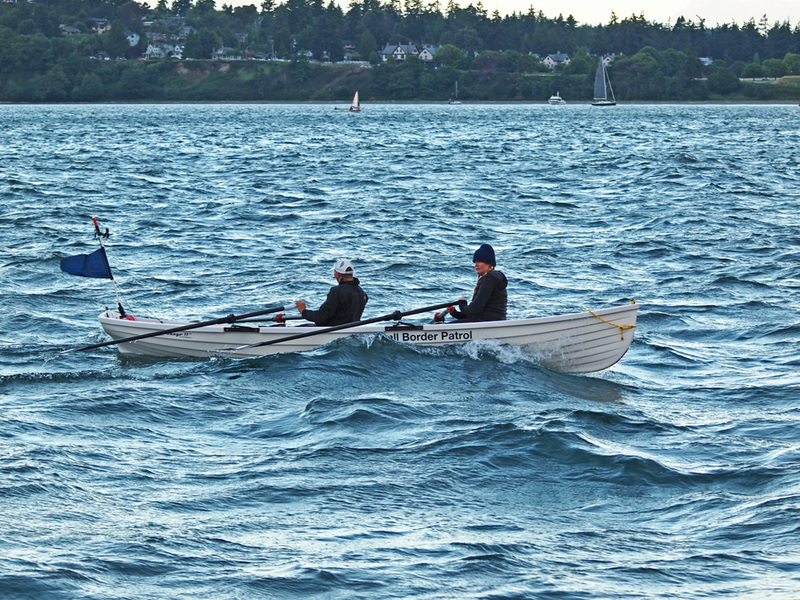 Many want to row again, and have thought about it for years but can’t afford the time, or their lives (i.e. families, kids, careers) don’t allow them the time to get back into a regimented club program, or they’re just not interested in being competitive any longer. But they DO want to row again. 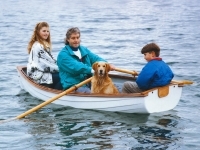 Learning about the all-water, stable, high performance rowboats we offer makes them realize they can row again, at their leisure, anywhere, and with kids, or with novice rowing partners, and even with dogs on board. Hmmm, they think. Next thing you know, they’re relaying their credit card number over the phone for the deposit, and we know they’re wearing a big smile. Intrepid explorers of all sorts look at our boats and think “adventure!” We’ve had as many as three double crews in one year row our Whitehall Spirit Tango 17s the 40 or so miles from Port Townsend, Washington USA to Victoria, British Columbia Canada (yes, with their passports in a dry bag) in the first leg of the R2AK (Race to Alaska). 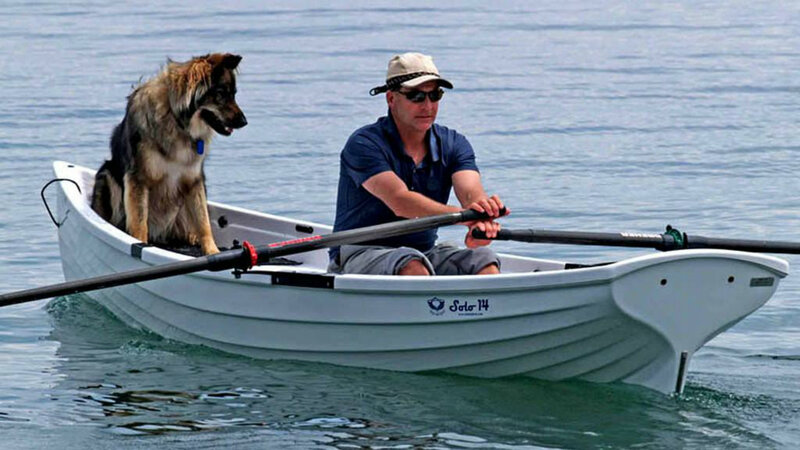 We had a boat specially ordered to row 1,200 miles down the Yukon River. Our Tango 17 only weighs in at 200 lbs yet it can carry up to 800 lbs of crew and gear. Take it out for a day, a week, or on an extended expedition. The only limit is your imagination! 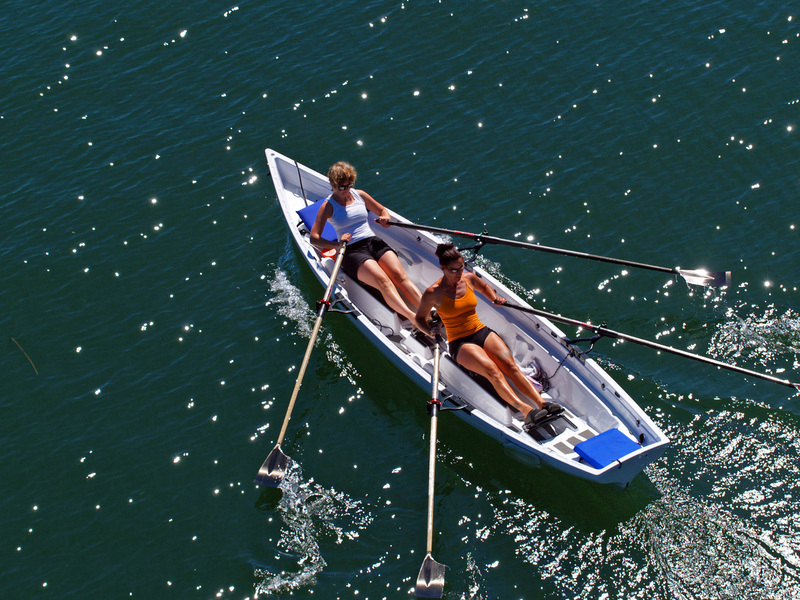 These might be hard-core cyclists, or triathletes looking to expand their cross-training regime with something like rowing to “keep it fresh.” Check out my recent blog on the many benefits of rowing for triathletes. Others just live for the poetry in motion of a beautifully executed rowing stroke, and how doing that for an hour or four “strokes” their endorphins. Ever read the book Younger Next Year? The author embraces the benefits of participating in what he calls the “healing sports” as we age. These are the activities that typically make us feel better after we participate in them, rather than worse. What these sports (swimming, cycling, rowing & cross country skiing) have in common is they are generally full-body activities and non-impact. Taking good care of ourselves, especially our joints, as we age is very important. 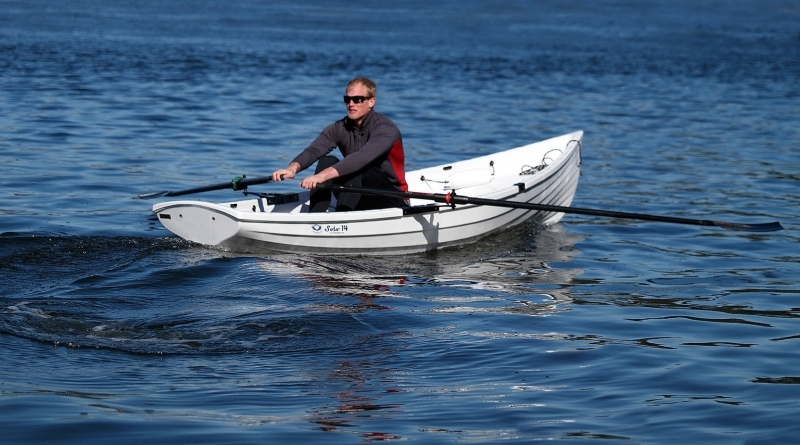 Rowing is ideal in that it works almost all major muscle groups (strength), it gets your heartrate up (cardio), and stretches your back, glutes, and legs (flexibility). 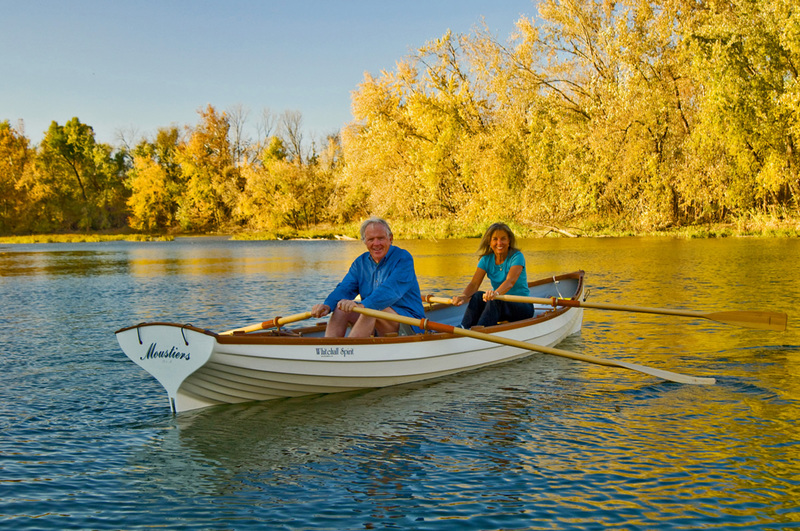 Though competitive rowers start at an early age, you can never be too old to row, especially in a stable boat like a Whitehall. 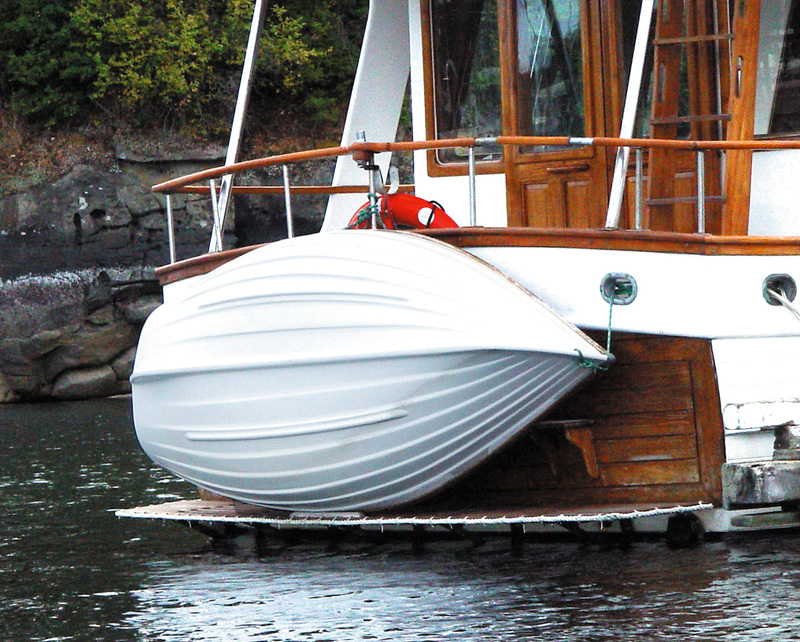 What do you do for exercise when spending a month cruising on your boat? 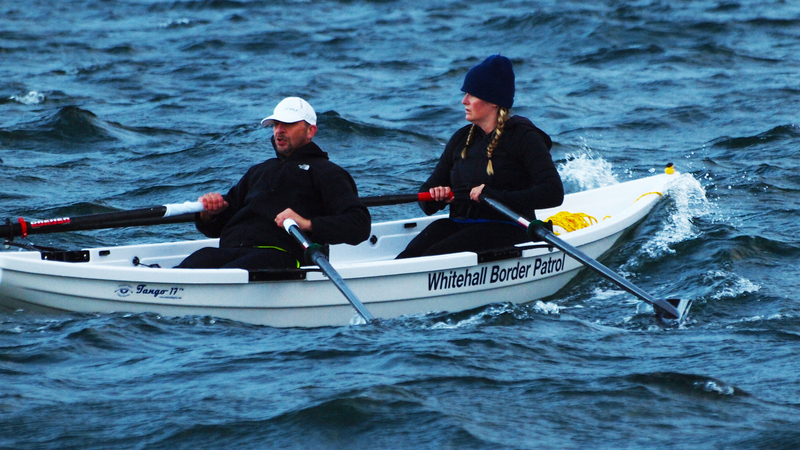 Get in your Whitehall and slide seat row 5-10 km every morning while at anchor or in port. What a great way to stay fit and explore an area.